This article was originally published by Fairfax Media. Jess Polaschek hated maths during school. So much so, she avoided it completely and opted for a design degree at university which led to an early career in visual merchandising. But she’d always had a hankering to get involved in the retail side of things and, with a suite of creative friends and contacts looking for a place to sell their wares, her Sydney based design space, Tribe, was born. She’s proving that SME owners can successfully turn their passion project into a viable, long term business. Now, as a small business owner, Polaschek is a visual merchandiser, gallerist, marketing specialist, logistics manager and critically, finance director, all rolled into one. More importantly she’s realised that learning how to crunch the numbers not only helps her understand the story that data tells about her business progression, but can actually be interesting. Better Business Basics founder Annie Flannagan says understanding what the story is telling you, as a business owner, is fundamental to how you move forward. As an entrepreneur herself, Flannagan recalls how lonely it can be starting a business. The experience made her a great proponent of more open and trusting communication with peers, other small business owners and mentors to help provide context and an informal benchmarking of business performance. That context helps SMEs avoid the pitfalls of being too responsive to the real-time data, something Polaschek worries about. 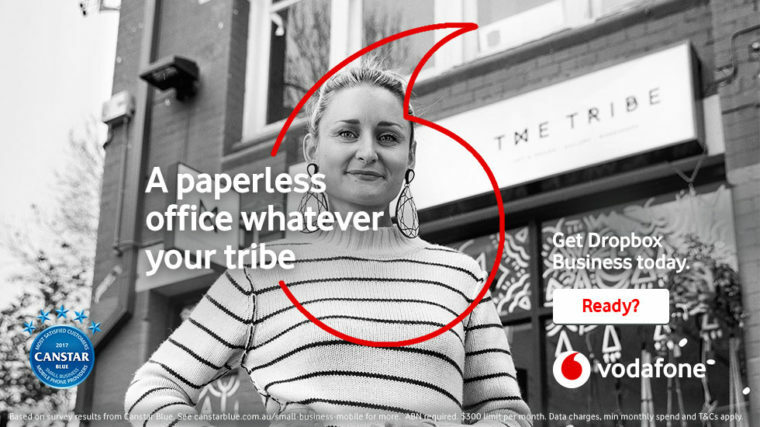 For Polaschek, who started Tribe online before opening a storefront in Darlinghurst, the current challenge is juggling the different roles required of her as a sole trader and trying to grow the business from its current micro-business size. The advent of cloud computing has helped ease the administrative burden of running a business, but streamlining systems and processes through various integrated programs. She uses programs such as Xero, Google Drive and WordPress as well as Dropbox Business, which is a necessity for her when sending and receiving large image files of artwork. Dropbox head of marketing for Asia Pacific and Japan, Deeps de Silva, says that as Polaschek has already found, their product was created to provide a way for people to access files instantly, anywhere. For businesses that need to share large files, Dropbox provides that capacity with the security benefit of having tight permission controls over who sees what files. She says for small businesses, and particularly those run by creative people who are often more likely to tap into their instinct and creative skills in decision making, the critical crossroads is learning to transition from wholly instinct to fact and instinct. Our technology solutions, including our range of ReadyApps, are designed to help you save time and simplify business processes. For software tailored to your needs, call our Business Specialists today on 1300 308 569. Red Wire partner Fairfax Media is a leading multi-platform media company that attracts engaged audiences right across Australia and New Zealand. It's a go-to source for news and current events. The tiny tech that will change your business!